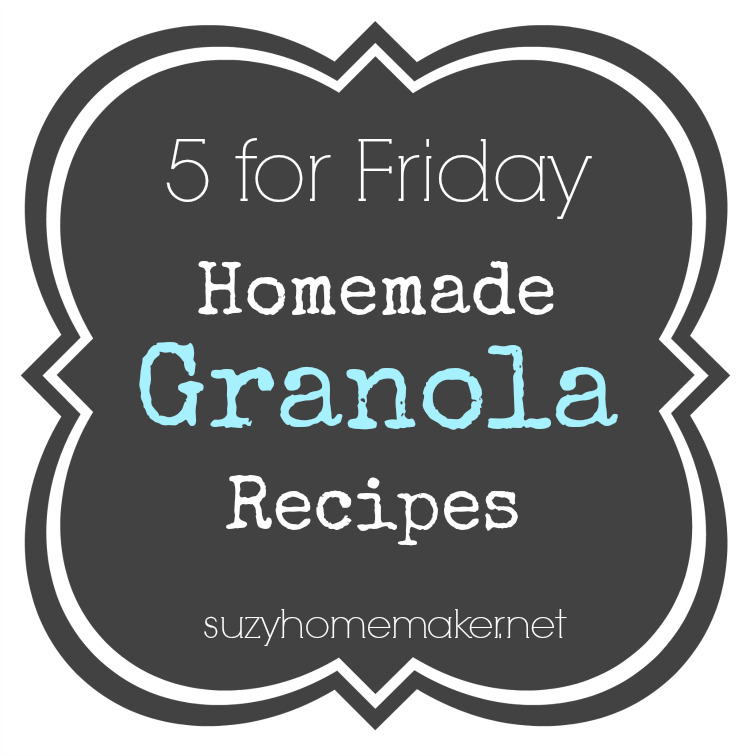 Today's 5 for Friday highlights 5 homemade granola recipes. Oats are a great addition to your real food journey. You can read more about them here. Homemade "nutella" granola - I posted this recipe yesterday. I love chocolate-hazelnut spread and am always looking for unique ways to use it. Quinoa Granola - One of my other favorite grains - quinoa. A great addition to granola from savorysimple.net. Healthy homemade granola - this recipe from mynaturalfamily.com uses steel cut oats as a base. 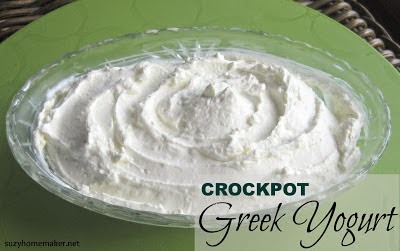 Use homemade granola as a topping on some homemade crock pot Greek yogurt.